Big cities don’t just need bigger churches. We need better churches. Of all sizes. I have a request to pastors and church leaders who, like me, may not be called or gifted to lead a big church. To all the pastors longing to do something other than church-as-usual. To all the potential church planters asking God to show them where to plant. Consider this. 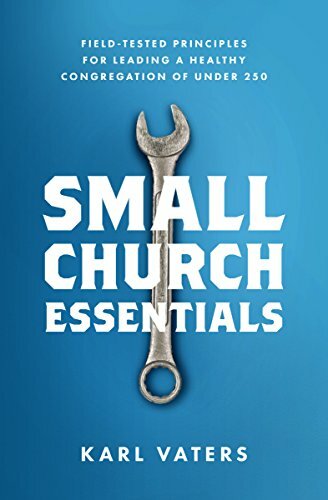 Take a serious look at planting a healthy, innovative, friendly, outward-reaching small church in a big city or suburb. Take a serious look at planting a healthy, disciple-making, friendly, outward-reaching small church in a big city or suburb. Or leading an existing big city small church in a much-needed turnaround towards innovative worship, discipleship and outreach. If you feel called to a small town or rural area, by all means do that with all your heart. They need great small churches, too. But please don’t think that the only kinds of churches that work in big cities are big churches. Big cities need small churches that fit into local neighborhoods. That meet niche needs. That speak to a segment of the population no one else is reaching. The poor, the disenfranchised, the outcast, the forgotten – of all ages. These are the kinds of people our cities are filled with that may not be reached by any church at all, right now. Planting or remaking a great small church in a big city won’t be easy. You’ll face a lot of opposition. Maybe even from established churches and church leaders who can’t see what you see. Figure out how to do small church in a big city. Even if the way you do it has never been done quite that way before. Think different. Think quirky. Think niche. Start a coffee shop church in Portland, a bohemian loft church in Manhattan or an artist’s studio church in Brussels, Belgium. I’m putting this call out with two types of people in mind: innovative church leaders and bivocational pastors. We need you. We need innovative church leaders who aren’t constrained by how we’ve always done things. People who will try impossible things because they don’t know they’re impossible. And we need church leaders who have a source of income outside the ministry. Let’s face it, a bake-your-own-bread-while-we-talk-about-Jesus church might meet some people’s needs for intimate fellowship and worship – and good food. But it will never attract enough people or money to buy a building or pay for a full-time pastor in a big city.